This post is part of a blog series introducing the editors of Studies in Late Antiquity (SLA), our new online quarterly journal scheduled to launch in February 2017. Stay tuned for more Editor’s Spotlights with other SLA editors leading up to the journal launch. We are pleased to introduce Susanna Elm, Professor of History at UC Berkeley and one of the associate editors of Studies in Late Antiquity. 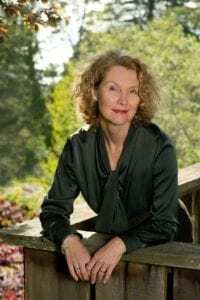 Having received her D.Phil in Ancient History from St. Hilda’s College, University of Oxford, Elm has taught at UC Berkeley since 1988, teaching at the graduate and undergraduate levels in subjects varying from Ancient Mediterranean History and Archaeology, to Classics, to Religious Studies. Elm’s areas of expertise fit seamlessly into the broad editorial scope of SLA, with her Ancient History research focused on the political, economic, religious, and cultural history of the later Roman Empire across the East and West. Her current projects include research on Augustine of Hippo and slavery, the possibility of formulating a theology of economics, late Roman Antioch, elite display, and aspects of ancient medicine. We sat down with Elm to talk more about her research interests, her involvement in the journal, and how she thinks Studies in Late Antiquity will influence scholarship in her field. Can you tell us more about your research interests and areas of expertise? My area of expertise is the history of the later Roman empire with an emphasis on social, economic and cultural history. Central to my endeavor is an integrated approach that combines written sources from authors that are Christian and non-Christian with documentary and material sources. Currently, I am particularly interested in questions of slavery and taxation in relation to theology, but also in aspects of masculinity as transmitted through the depictions of Roman, barbarian, and Christian men in a wide variety of contexts in our fourth and fifth century sources. What drew you to editorship of Studies in Late Antiquity? My interest in the journal is of very long standing: it goes back to the early days of the collaboration of scholars interested in matters of late antique studies in California, which, early on, always also included the regions bordering on the Roman empire. In fact, I always thought that California itself, such a complex, dynamic region, facing both East and toward the Pacific Rim, always creating and adapting to change, is an incredibly “late antique” world. In other words, for me, living in California has really influenced the way I look at the later Roman empire, and I see aspects of that empire reflected in California. And remember, though many have seen decline when they looked at the later Roman empire, it took a very, very long time until that actually happened – if it actually ever did (just to mention a perennial debate). 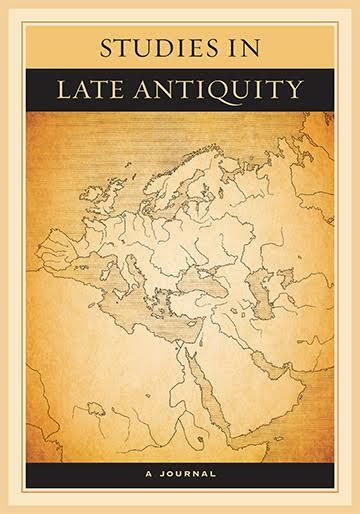 How do you anticipate Studies in Late Antiquity will transform the scholarship in your field? I am very exited about the intention of this journal and its editors to work hard to bring together those who strive to look beyond Rome’s borders from both sides, and also beyond questions of Christian, non-Christian, religious, secular, and so on. I do hope that our colleagues in the non-Roman world will tell us where our blind spots are, what we take for granted without further examination, and to encourage us to experiment with methodological approaches that extend our comfort zone. To offer a forum for such debates is, I find, most distinct, interesting and exiting about SLA. Submit your papers to SLA. Visit sla.ucpress.edu for more information. Recommend SLA to your institution. Give this Library Recommendation Form to your campus librarian to request that your library pre-order a subscription. Sign up for SLA launch updates! For future updates on the inaugural issue, free sample content, and more, sign up for email alerts at sla.ucpress.edu.